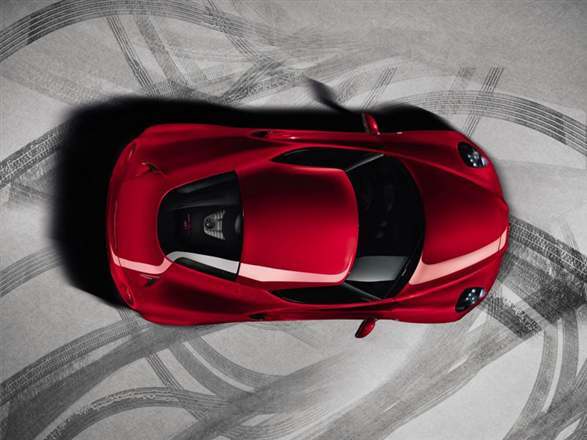 The first official photos of the 4C have been released by Alfa Romeo, ahead of its much anticipated unveiling at the Geneva Motor Show next month. As can be seen through said pictures, the production version of the model looks almost identical to the concept car which was shown at the 2011 Geneva Motor Show. It weighs less than 1,000g and produces more than 250bhp per tonne. It is equipped with a 1.7 litre turbocharged petrol engine, but performance figures have not yet been mentioned. The model is predicted to have a power output of 275bhp and accelerate from 0 – 62mph in around 4.5 seconds. Impressive speed will inevitably be countered by poor fuel economy; however reliability is expected to be strong which will drive down servicing costs for the vehicle. 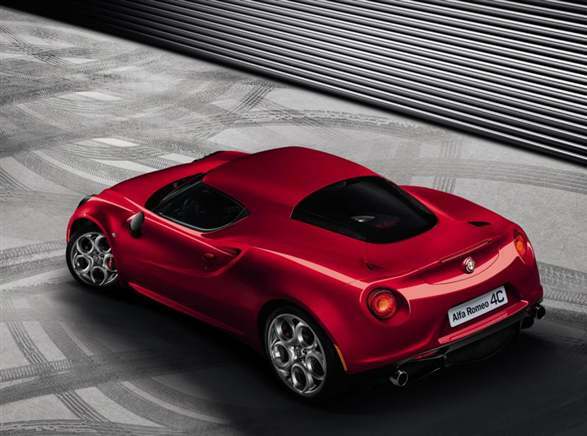 The engine will be mated to a 6-speed TCT dual-clutch gearbox, while the 4C also boasts Alfa’s DNA system, allowing drivers to choose between Dynamic, Natural and All-weather modes. As with performance, Alfa has also chose to keep quiet on pricing details for now, but the 4C is expected to rival the Porsche Cayman and cost around £40,000. 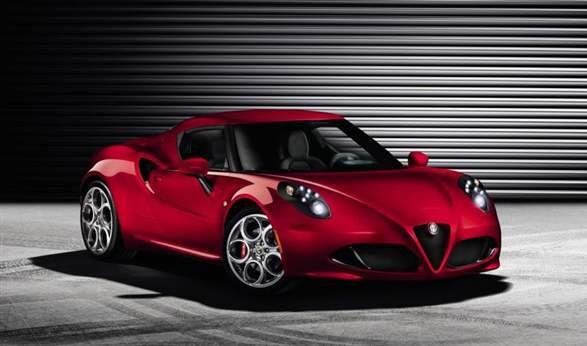 The Alfa Romeo 4C is expected to go on sale in Europe shortly after it is unveiled in March at the 2013 Geneva Motor Show.